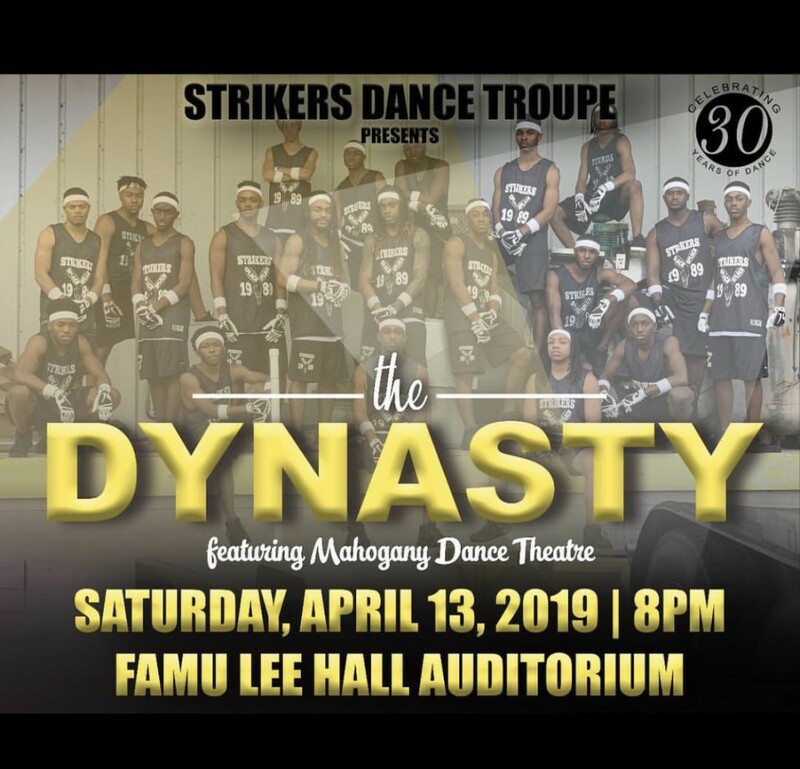 The Strikers Dance Troupe of Florida A&M University will celebrate 30 years of dance with a spring concert, titled “The DYNASTY” on Saturday, April 13. Tywon Jones, Vice President of Strikers Dance Troupe, detailed attendants of the event will see all the hard work and effort the troupe has been putting in since the past year. The Strikers have performed all over the United States and have even had invitations to perform abroad including Cuba and China. The Strikers were created on February 25, 1989 by Shepiro Hardemon, who also serves as the only artistic director in the dance organization’s 30-year history. However, before the actual founding of ‘The Strikers’ as people know it today, there was some collaboration between both male and female dancers that Hardemon helped bring together. Through his highly sought-after choreography, Hardemon was a visual mastermind for his group, “The Bottom’s Best”, which was a co-ed group of the best dancers from the South Florida region. Hardemon also did choreography for The FAMU Venom Dancers, which is where the figurative gestation period began for the all-star male dance organization. The first routine that the newly combined dance group performed was at the Leon County Civic Center at a basketball game. When the announcer asked Hardemon, Venom’s captain and their now co-ed group for the name of their dance group, the dancers hadn’t even thought about what to name it, until that announcer suggested that they call themselves “The Strikers”. This was the beginning of what would later be known as the FAMU Strikers Dance Troupe. Since their creation to the present day, not much has changed. The Strikers are still touring the country every chance they get, they’re still performing to packed out crowds at and around FAMU, and they are still producing skilled dancers and entertainers who get opportunities to dance and perform for the biggest names and entities in the industry. Beyoncé, Janelle Monae, The Alvin Ailey American Dance Company, and every major network and dance show in the country such as “America’s Best Dance Crew”, “The New Edition Movie”, and “The Quad” have all seen the talented individuals. The current members of the group are looking forward to showcasing to FAMU how great 30 years of dancing looks at their upcoming spring concert. Isaiah Connor is a first year member of the dance troupe and is excited to be a part of the legacy of dancers. Hardemon wants to “go out with a bang”, as he announced that he would be officially stepping down as artistic director, while a new director will be appointed to ensure that The Strikers legacy lives on.